The authors talk about their own histories of living “small and scared” and living “defensively,” ways that they struggled to understand the freedom we have in Christ. The authors are calling for renewed understanding of what it means to be hidden in Christ and to live a life for Him, calling for revival amongst women in the church today. I think it is an important book and enjoyed reading it. If you want to read an excerpt, you can find one here. I finished this one months ago. I’m not sure why I’ve lagged to post this review because I really enjoyed it! I read it at a time when I was studying through Judges, and I love to compliment bible study with historical fiction. I find it breathes new life and perspective into a text that can sometimes seem boring. It helps me to remember that these people we are reading about in the pages of Scripture were real human beings with emotions and fears and struggles much like my own. This book is book 2 in a series by Smith entitled “Daughters of the Promised Land,” and after reading it I will probably read the rest of the series. She writes interestingly and did an impeccable job of telling Deborah’s story with biblical accuracy and a ton of side research on the cultural context. As such, the story of Deborah truly comes to life and sparked a lot of curiosity and fresh perspective for me in thinking about this intriguing, powerful woman used mightily by God in a time when the people of God were far from Him, entangled in idolatry. 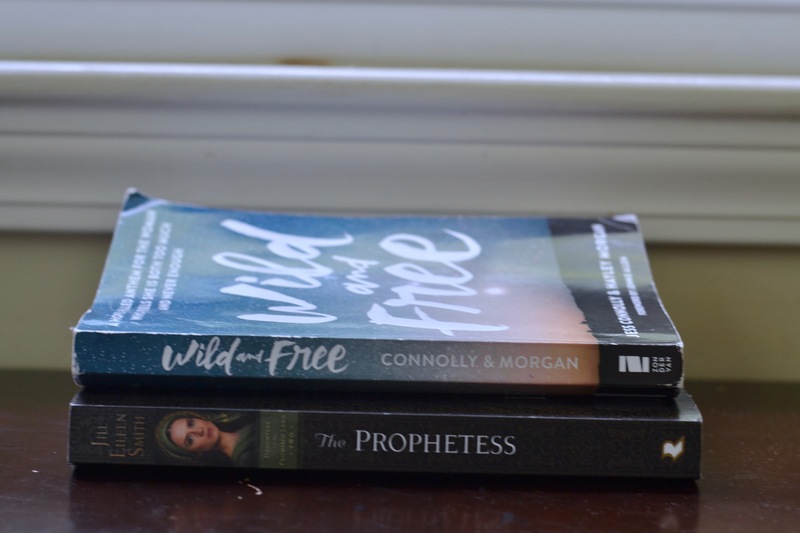 I especially liked the way she imagined and depicted Deborah’s visions and gift of prophecy, as well as Deborah as a woman–both strong and outspoken, yet battling her own fears and humanity, growing in faith and dependence on God. Deborah was truly a “wild + free” woman! Smith’s imaginative biblical fiction reminded me of Francine Rivers’ Lineage of Grace series. Surely a story to get lost in and one I highly recommend! Thank you to Revell Publishers + BookLook Bloggers for the opportunity to read these books in exchange for my honest review. All opinions expressed are my own.